After the gluttony of the last few weeks, I needed a bake recipe that didn’t involve sponge cake or chocolate. 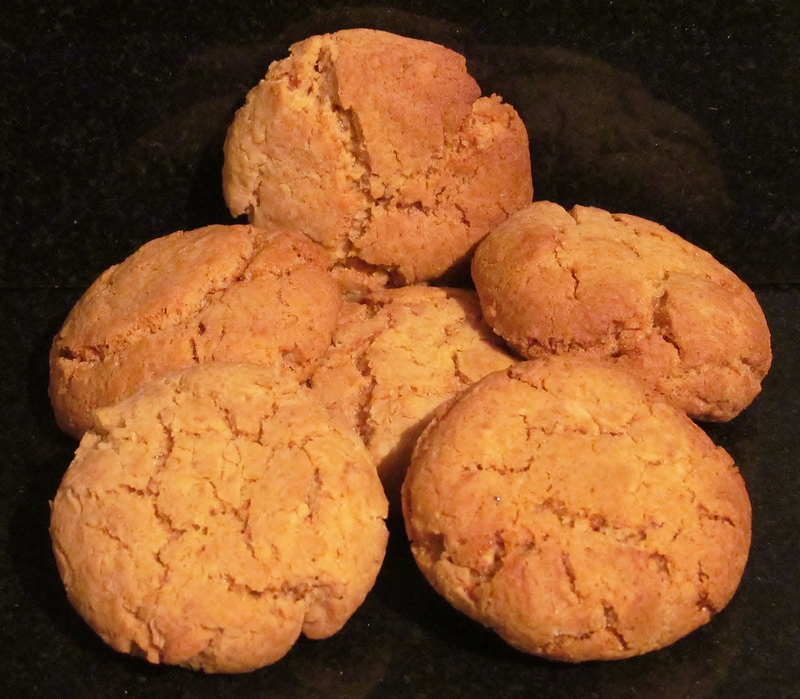 Mary Berry‘s Baking Bible never fails to offer an answer and Mary’s Yorkshire Gingernuts fitted the bill nicely. I had been considering missing a week this week, I think I had hit my “wall” as you hear runners say when they reach a certain distance. I had been feeling a little despondent and had even considered giving up the challenge but after giving myself a swift kick and talking to, the challenge goes on! Mary’s recipe asks you to melt the butter and the golden syrup in a pan and then add this to all the dry ingredients. I must admit I had checked my store cupboard for all the ingredients ahead of my bake but thought I had more ginger than I actually had. Mary’s recipe asked for a tablespoon of ginger…and when I opened my pot, I had at the most a teaspoon’s worth. I found myself, at 4:45pm on a Sunday afternoon wondering where I could get some ginger. Luckily for me, I found my local Co-Op was still open and had just what I needed! The bake was still on! I added the wet mix to the dry and brought it together into a dough. Mary says to roll little balls about the size of a walnut and that the mix will make about 50 biscuits…well my version of a walnut must be different to Mary’s but I still must have made about 35 biscuits or so. Into the oven they went and I set the timer and sat and waited. Once the time was up, I had a look and they smelt lovely and gingery. They were a lovely golden colour too. I took them out of the oven and put them on a cooling rack and put the next batch in. Once they were cool enough, hubby and I shared one between us and put the rest in a tin. I have taken some to work and hubby will give some to his parents soon. I must say that after a day, they had that lovely “snap” on the outside when you bite into them and a softer middle. For a “filler” recipe, I must admit that I would happily make these again! 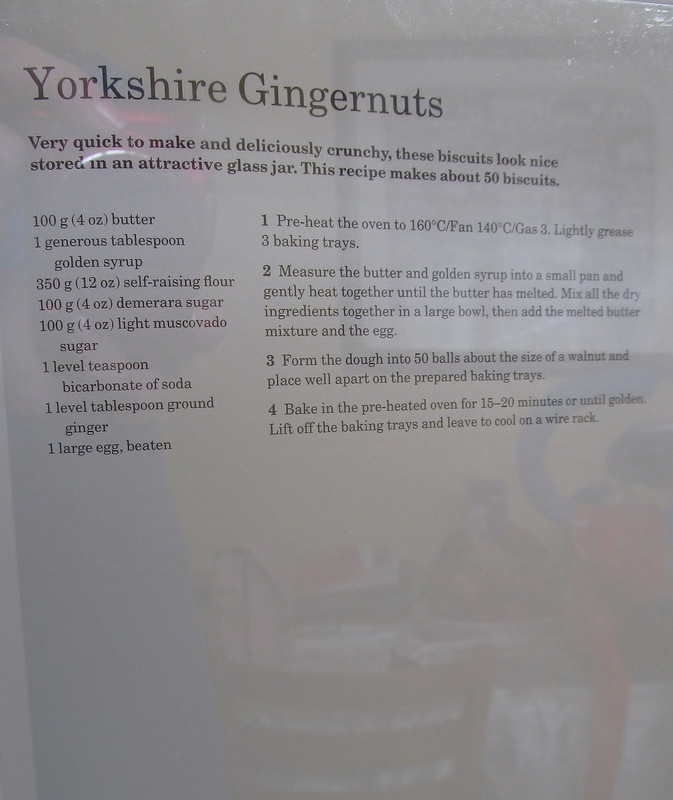 This entry was posted in Kim's cake challenge and tagged Baking Bible, Cake, Chocolate cake, Cook, gingernut biscuits, Golden syrup, Home, Kim's Yorkshire Gingernuts, kims cake challenge, Mary, Mary Berry, Mary Berry's Yorkshire Gingernuts by kimsideas. Bookmark the permalink.